I had the distinct pleasure of photographing Evan's birth. The story of how Evan came to be is different and best told by Evan's mom, Carrie. Here are her words: "Evan Patrick Muller was born April 14, 2014. The story of how Evan came into this world is one of sacrifice, fortitude, prayer, hope and above all things LOVE! My husband and I met on St. Patrick’s Day in 2006. He was the answer to all my prayers. I had prayed to God to help find me a man with whom I wanted to spend the rest of my life. God answered that prayer after years and years of wondering if He was ever listening. He answered my prayers that St. Patrick’s day in a bar:) We were married about 2 years later. So after a year of marriage we tried to have a family. I will sum up our fertility journey as succinctly as possible. Although, it was a journey that took almost exactly 5 years to come to fruition. I did not advertise our struggles to a ton of people but I was not ashamed or embarrassed to talk about it either if people wanted to know. I think it’s important that people know that the statistics are that between 1 and 6 to 1 and 8 couples struggle with infertility. The reason for our infertility was never even found. So, if you are reading this and are one of those people or if you are just struggling with something else in your life, hopefully our story can bring a sense of hope to you. Hope - that’s such a easy thing to say and you would think to feel but I also felt that hope can be exhausting. Hoping that this cycle would be THE time it would work for over 4 years! Without Hope I would have been completely lost but with Hope I was forever - well hopeful or optimistic I guess you could say. But without hope where would we all be? After trying for almost two years on our own the good old fashioned way, Tim and I sought out experts to help us have a baby. All in all, we did 1 IUI and 8 IVF’s. We never had any embryos to freeze after any of the 8 cycles; so each one was starting from scratch to retrieve my eggs. And this is why I say it took fortitude on both our parts. It was literally with each cycle, a matter of holding our breath and visually picturing ourselves jumping over and clearing one hurdle after the next in order to make it to the next step. I was giving myself 6-8 shots a day during the time we were trying to create lots of eggs to retrieve. But really the physical hardships of it all were a breeze for me. 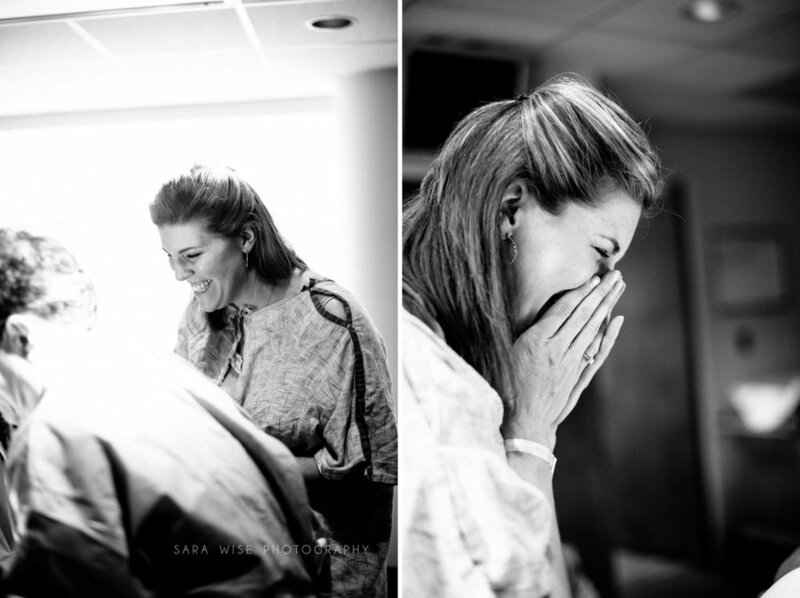 It was the agonizing wait for each and every step of the IVF hurdle to be cleared that was the hardest part of it all. The waiting to stimulate and hoping I would produce eggs to harvest that were of good quality. The retrieval and waiting to find out how many eggs were actually retrieved. The next day after the retrieval to find out how many eggs were actually fertilized and even had the chance of becoming embryos. The waiting until transfer day to find out how many embryos had actually made it and were going to be transferred. (We even had one cycle where we went through the whole stimulating process and retrieval and got the call the day before the transfer was supposed to take place that none of our embryos had made it and that there would be no transfer. We got that call on the way to church one Sunday and I remember Tim telling me that it was ok if I did not want to go to church. I said no, I thought church might be a good thing in this circumstance. Well, I lasted not 5 minutes at church and had to leave, I was so mad at God.) I’m not proud of the fact that my faith wavered a lot during this journey but that is my truth. And then the most agonizing hurdle of all, the more than 2 week wait after the transfer to find out if the pregnancy test would be positive. But it does not end there. Because every other day after a positive pregnancy test, there are blood draws to make sure that your hormone levels are doubling and a pregnancy will be supported by your body. I twice experienced the wonderful bliss of a positive pregnancy test and then the lowest of the low when my numbers after increasing for a week drastically fell. And this is where prayer comes in. We prayed a lot. We prayed that God would give us what we wanted. We prayed that God would help us through it all. We prayed that God would help our marriage survive if our own genetic children were not in our future. I personally prayed to be able to continue to survive day to day. I prayed to be able to present myself with what I thought was my normal personality and not the very bitter and jealous person that I felt myself becoming with each failed cycle. But the best thing was - other people prayed. People literally in various parts of the world that we knew and even people we did not know (friends of family we had not even met) were all praying for us. And one of the coolest things about prayer that someone told me was that even when you yourself don’t have the strength to pray because anger has taken over your everything, other people’s prayers are still hard at work. So, to each and everyone one of you that prayed for us - thank you! So, you might be wondering where is all the sacrifice and love that I talked about at the beginning of this story - well that’s where my sister comes in. That’s right - my sister:) She volunteered to carry our baby and she did it with grace and humility. She is the mom of two beautiful girls that are now 2 and 6 years old. Our 8th cycle was to be our last IVF cycle for good. We had 3 embryos to transfer. Our 7 cell and 8 cell embryos were transferred to my sister and our 6 cell embryo was transferred in me. And then SUCCESS. After the agonizing two week wait, my sister was pregnant with our baby! For Tim and I - She sacrificed her body. She sacrificed the ability to pick up her own children for certain periods. She sacrificed sleep. She sacrificed swollen and aching legs and a never ending full bladder. Her and her husband sacrificed as I’m sure this put strains on their marriage at times. She sacrificed time away from her own children when fatigue would take over completely that first trimester and third trimester. As someone who longed to carry my own child but was unable to, I will never know all that she truly sacrificed. My only sadness in this whole miracle is that I don’t think words that I write or thank you’s that I say will ever be enough to express my gratitude. God does work miracles. I know that. It’s not always on our timeline or exactly the way we would have wanted it to be but this I believe. So, meet Evan our miracle baby!" Evan's dad, Tim, is currently overseas in the military, so he was unable to be at Evan's birth. You'll see towards the bottom, that Carrie had a Daddy Doll made and we made sure to use it in some photos.